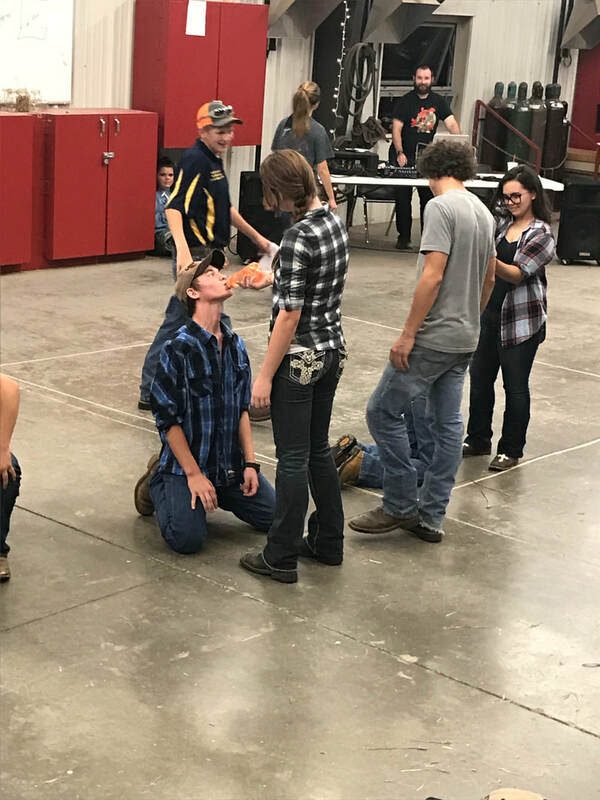 Southwest FFA hosted their annual Barnwarming celebration. The 2017 barnwarming candidates from the middle school were: Elizabeth Ross and Ty Howard. High school candidates were: freshmen Skyler Momtaz and Joey Patterson, sophomores Breanna Hamilton and Logan Deason, juniors Maggie Patterson and Tim Bee, and seniors Jackayla Bruno and Charlie Henderson. Junior candidates Maggie Patterson and Tim Bee won the 2017 Barnwarming Queen and King titles. They ended the night with a dance. Southwest’s 2017 Barnwarming candidates are pictured above, from left to right. Back row: Maggie Patterson and Tim Bee. Middle row: Breanna Hamilton and Jackayla Bruno. Bottom row: Logan Deason, Skyler Momtaz, Joey Patterson, Ty Howard and Elizabeth Ross. 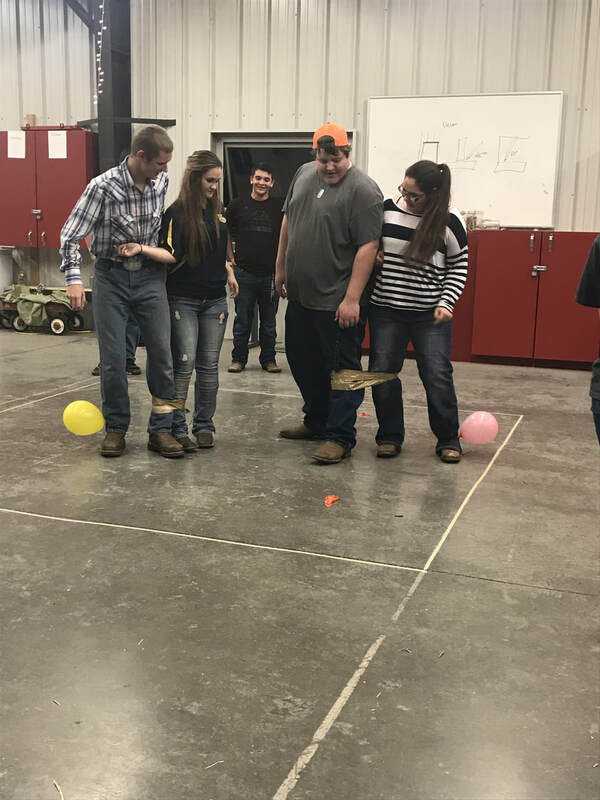 A three-legged race was part of the Barnwarming festivities. Pictured above, from left to right: Tim Bee, Maggie Patterson, Charlie Henderson and Jackayla Bruno. Sophomore Joey Patterson cures his thirst calf-style with Skyler Momtaz.